I like your post. There are certain procedures that you need to be familiar with when it comes to proofreading. I have found your blog to be quite useful. Actually, the writing process of the research papers does not end without proofreading the pages of the document. That is why you must have an idea how to proofread articles from simple essays to thesis papers. Thanks for your comment, Leisel! Unlike many believe, proofreading is not easy. I have been present in numerous doctoral dissertations and found that practically all of them contain typing errors (some of them even critical!). This example shows that even with great care it is often impossible to avoid errors completely. 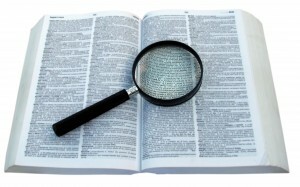 Previous Previous post: Machine Translation – What It Is?